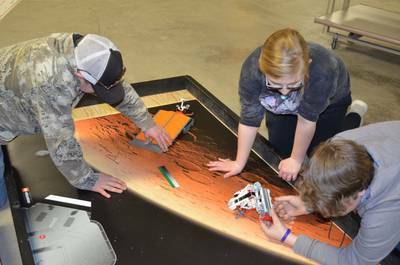 Robotics introduces science, math, engineering, and technology skills while teaching life skills. There are three different kinds of projects available in Robotics. ‘Introduction to Modern Microcontrollers’ is assigned to be used with the SparkFun Inventor’s Kit, the EV3 project is designed to be used with the Lego robotics kit, and the Junk Drawer project is designed to be used with everyday materials. Some robotics curriculum is updated by online vendors during the year–please check online at the 4-H website for the latest available versions.